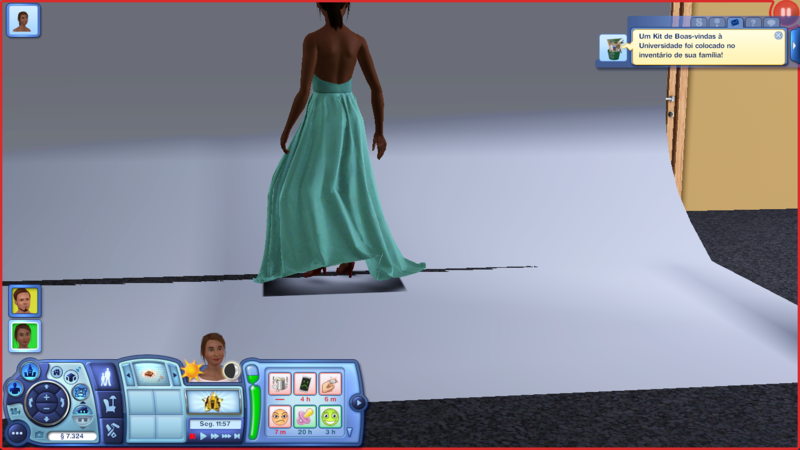 Mod The Sims - Weird square shadow on a long dress? Replies: 3 (Who? ), Viewed: 1374 times. I recently learned to convert Sims 4 clothing and so far, two of my attempts had this issue: a black square shadow on the floor. Clothing seem good otherwise, bones are assigned, seams are fixed.... but...... the black square appears on CAS and in-game. I've converted some other stuff with no issues, and I wonder if this may be related to the fact that both meshes are long dresses that touch the floor... Does anyone know how can I get rid of this? thanks in advance! That is indeed... very unusual? personally, I've never seen that before but it could just be an issue with adding accidental alpha maps or some shadow map that's included... Would you be able to share the package file so I can check it out?